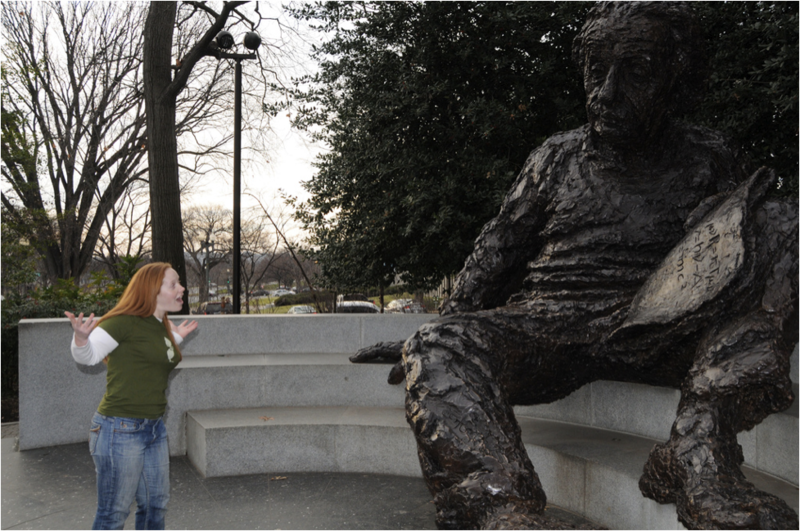 Arguing with Einstein is one of my favorite photos of the Albert Einstein memorial. It encapsulates how some of the sculptor’s intentions, his argument about Einstein and science, manifest themselves in an invitation to argue with a statue. The seated statue invites us to sit on him, climb him, and argue with him, and it is my contention that sites like Yelp, Tripadvisor, and Flickr offer us the ability to explore and examine our relationship to these kinds of monuments and memorials in unprecedented ways. 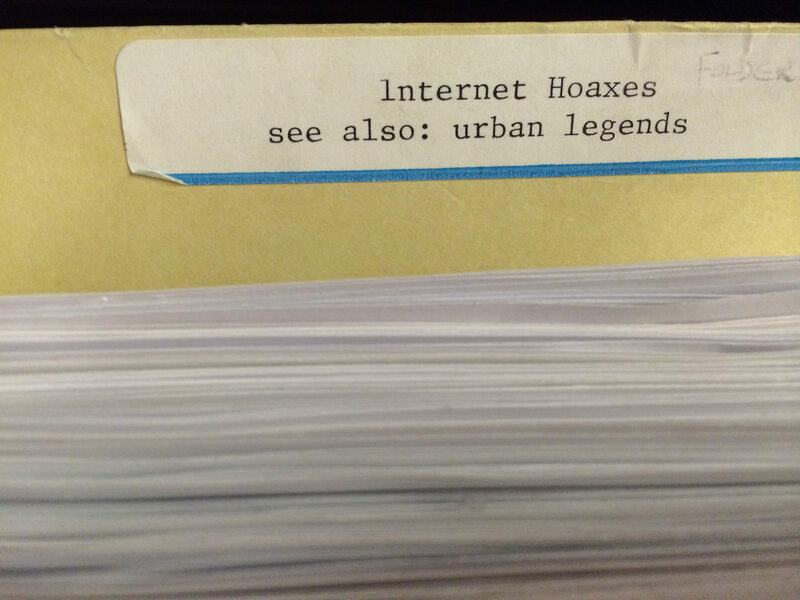 The paper is largely an attempt to parse out the different kinds about sites of public memory that we can tell when we draw on traditional archival collections, in this case using materials from the National Academy of Sciences archives, as opposed to the kinds of stories we can tell when we look at traces of experience and interaction with those sites of memory online. In this case, I find it particularly interesting to try and evaluate how some of the intentions in the design of the monument can be evaluated in the kinds of things that we create online as a result of experiences with the memorial. My hope is that this can serve as both further validation of the value of preserving public discourse on the web and potentially as an example for how other’s might use social sites like Yelp, Flickr, and Tripadvisor to explore and interrogate public memory. Below is the abstract for the paper. I would love to hear any comments or critiques in the comments. 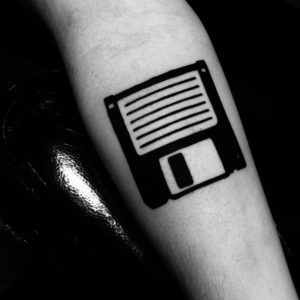 Similarly, if you end up using the paper in any way I would also love to hear about it. 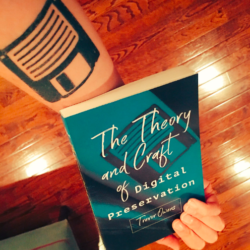 If you don’t have access to the official copy I have my own personal unofficial personal archival copy that you can take a look at. As I’ve mentioned before I have been looking at the Einstein memorial on the grounds of the National Academy of Sciences as a interesting spot to think about science in public. In working on the project I have been trying to find points of comparison, other statues of scientists or presentations of scientists, ideally in a similar setting like the National Mall. 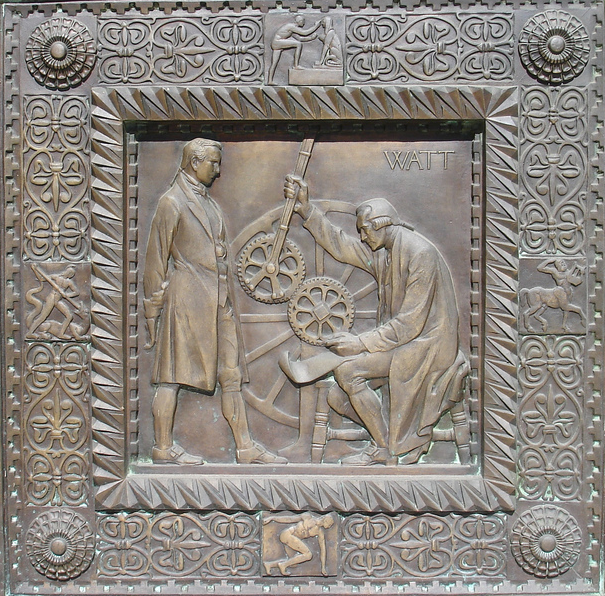 The first point of comparison to consider is the iconography on the National Academy’s building. 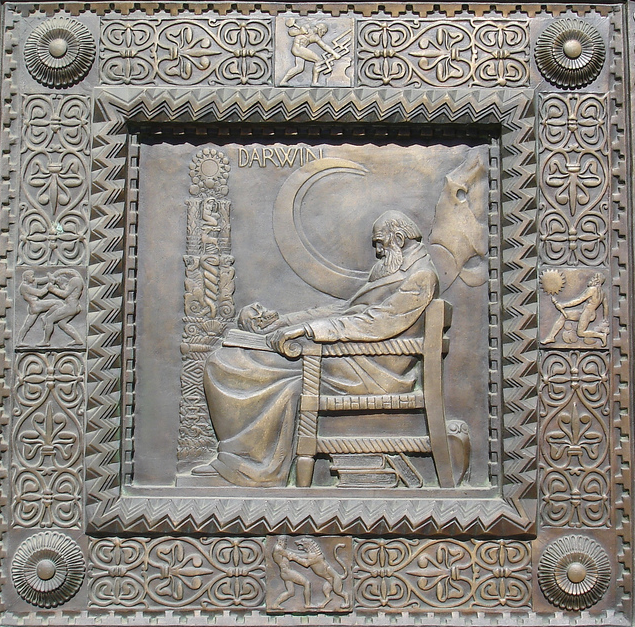 Just as the placement, posing and popularity of the Einstein statue suggest interesting points to explore perceptions of science the etchings on the door and reliefs along the side of the building make suggestions about what science is. I’m not entirely sure what to do with them yet but, they are so engaging that I thought I would share them, and some first thoughts. 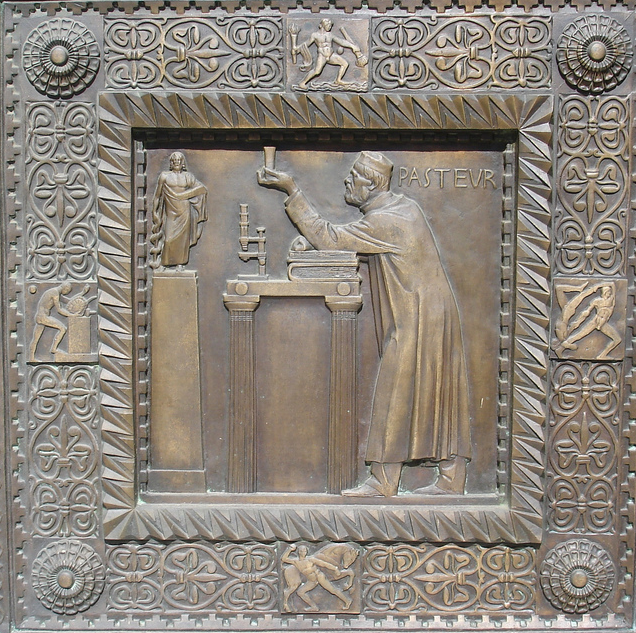 Each of the panels below tries to distill a scientist’s work and achievements into a few icons and actions. 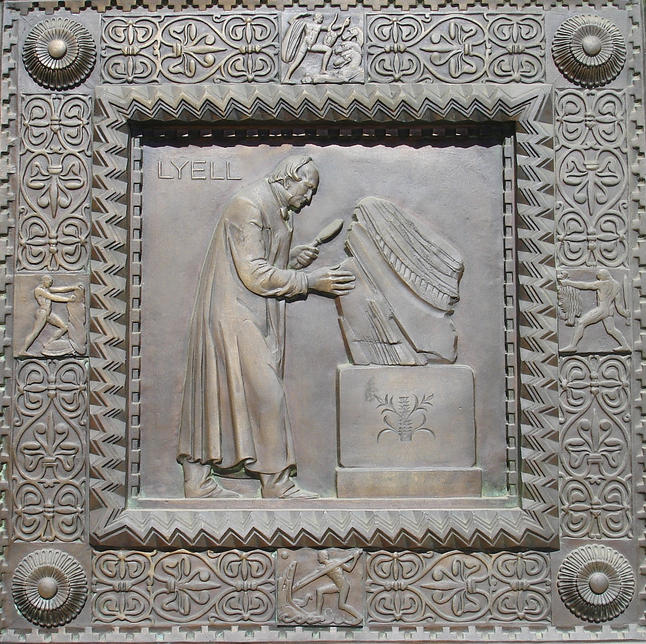 Each panel is stunning, but I’m not sure about how successful they are in representing the scientist and their accomplishments. I suppose there is not much you can do in less then a square foot of space to commemorate a scientist. Below I have tried to extract the gist of what each pane suggests scientists do. What is your take on these? Oh, and does anyone have a clue about what the four little icons surrounding each pane are about? 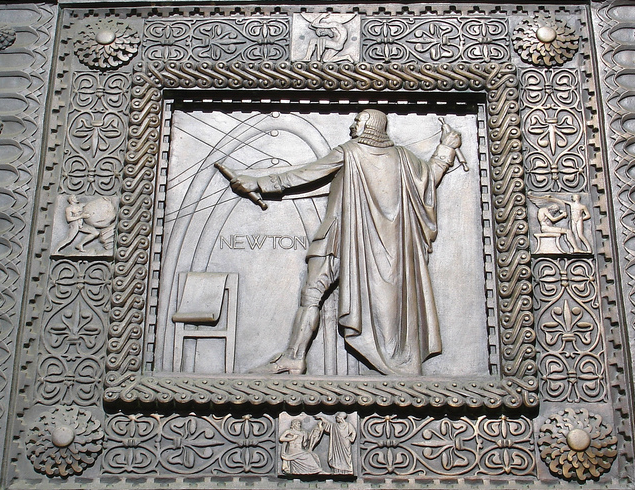 Action: Unclear, Is he looking at calculations and charting the orbit of the planets? Is he flying a kite? Setting: Museum? Clearly there are mammoth bones, but what is the tower all about? 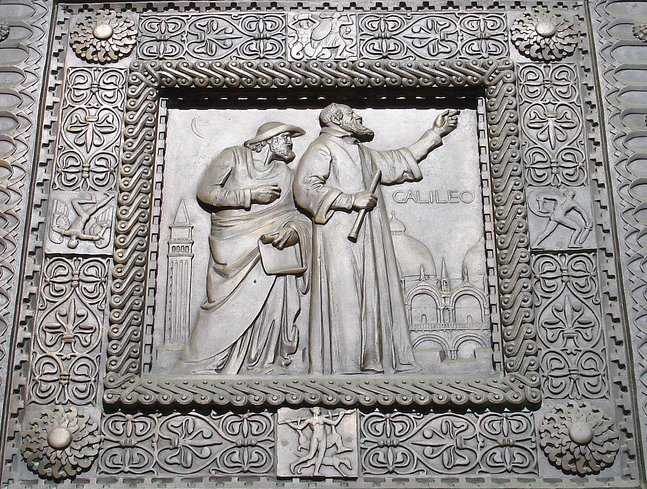 Euclid and Aristotle are also on the door, but it is a bit tougher to get a good shot of them because they are way up top. 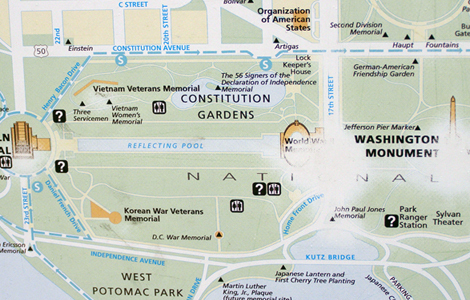 I really like how you can tell just how frequently the Park’s services maps on the National mall are used by how worn the areas around the Lincoln Memorial and Washington monument have become. As you look at the worn spots around these two monuments you can picture the hundreds of thousands of tourists that touched their destination on these maps.